Our farmer’s market is still going on this year and I’m betting that yours is too! Even if it’s not, I know your local grocery store has zucchini in stock! 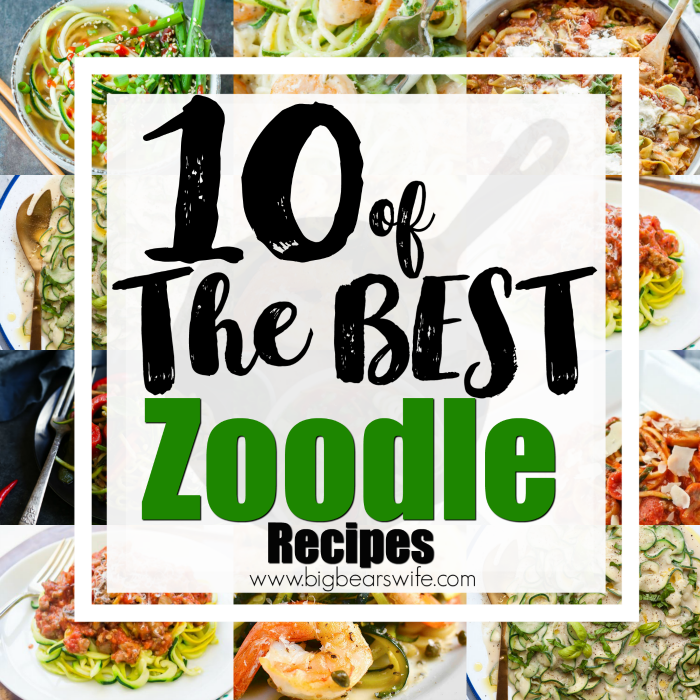 Let’s make some zoodles and try out these fantastic zoodle recipes that I’ve fallen in love with! 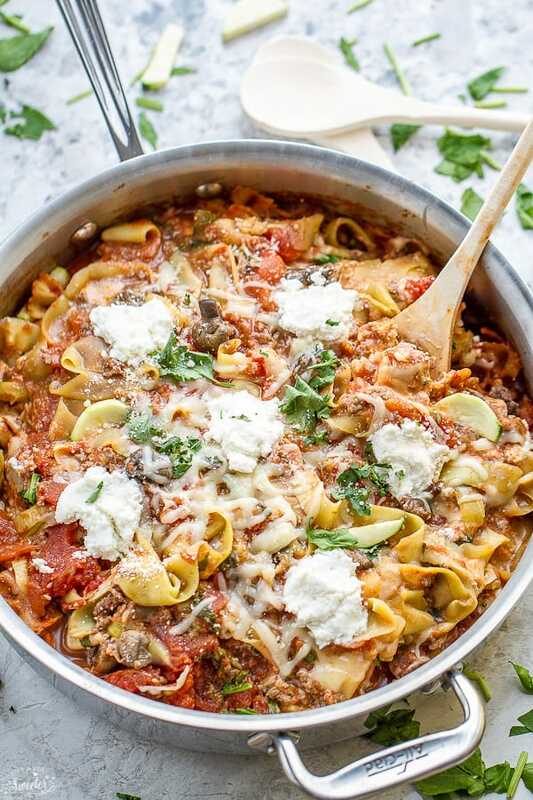 Ready for some easy peasy comfort food with a light and creamy twist? 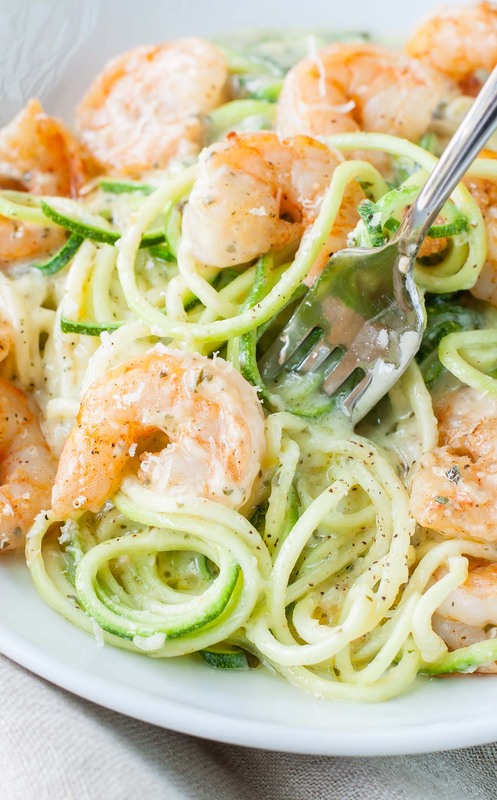 These Pesto Parmesan Zucchini Noodles are topped with fresh shrimp and are SO delicious! A healthy rendition of a traditional drunken noodles recipe. 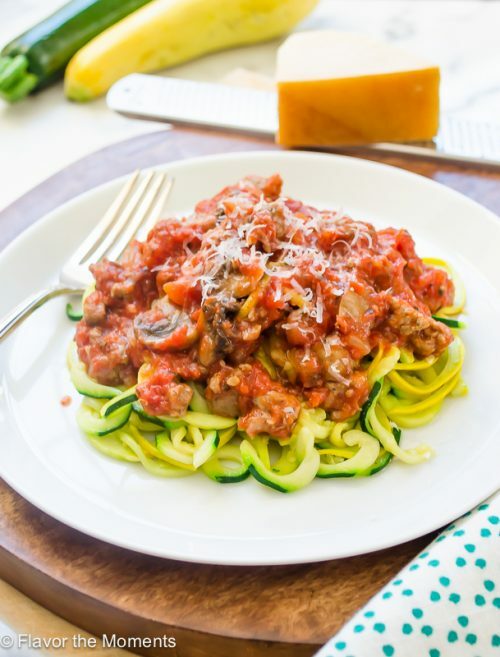 Paleo, healthy and so easy to make! 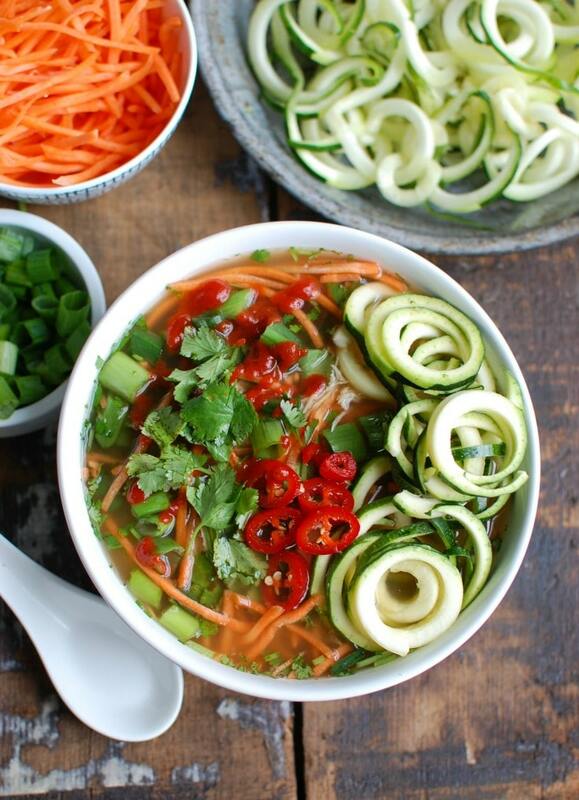 Get ready to climb into a big bowl of magical deliciousness and healthy eats! 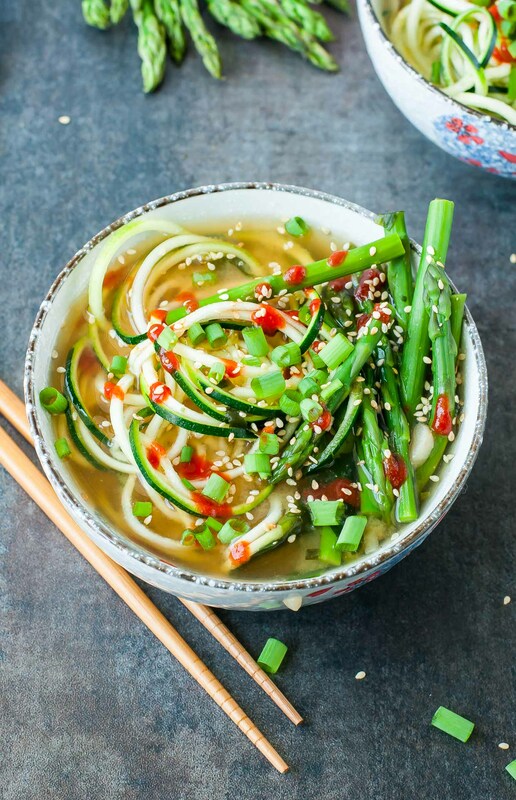 From stove top to table top in under 10 minutes, you’ll love this speedy One-Pot Spiralized Zucchini Noodle Miso Soup! 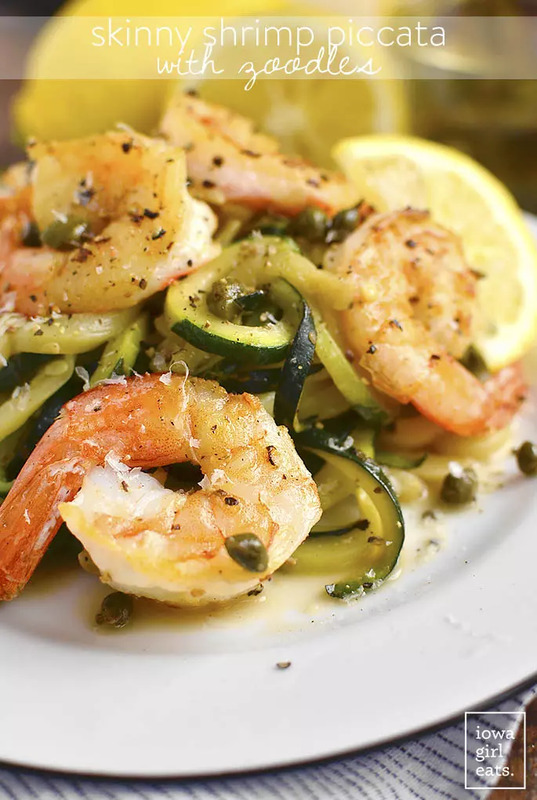 Skinny Shrimp Piccata with Zoodles is low-carb, gluten-free, and cooks in under 20 minutes in just one skillet. Fresh, light, and delicious! 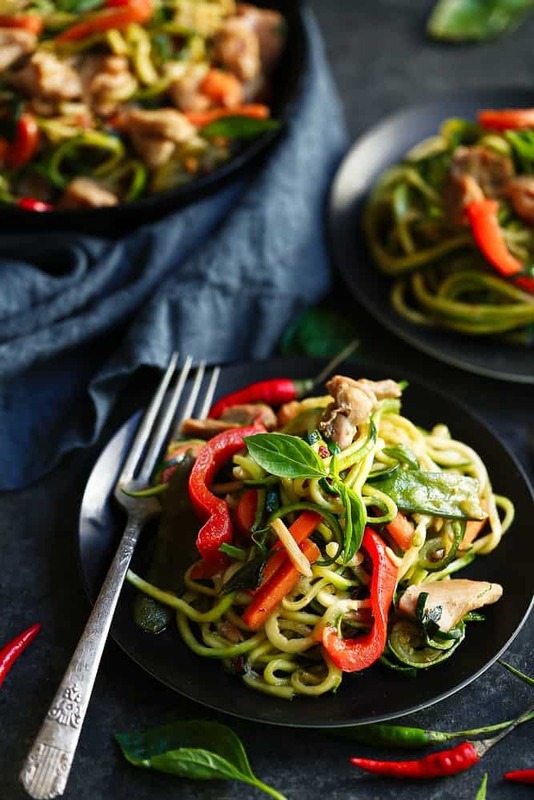 Spicy Asian Chicken Zoodle Soup is a lightened up version of your favorite Asian Chicken Noodle Soup using zucchini noodles. A spicy chicken broth is paired with chicken, carrots, fresh cilantro and green onions, Sriracha, lime juice and fresh ginger. This soups packs a lot of flavor into one bowl of soup. BLT Egg Salad Jars are SO easy and delicious, plus they’re packed with protein and fresh vegetables. Assemble for grab-and-go gluten-free lunches throughout the week! A revelation! 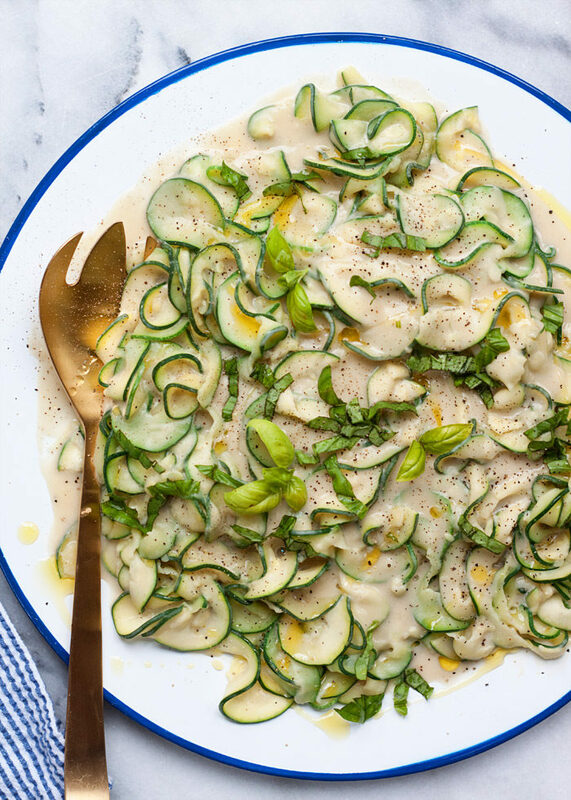 The rich and creamy sauce – made with only white beans, garlic, almond milk, a drizzle of olive oil plus salt and pepper – perfectly coats tender-to-the-bite zucchini ribbons. 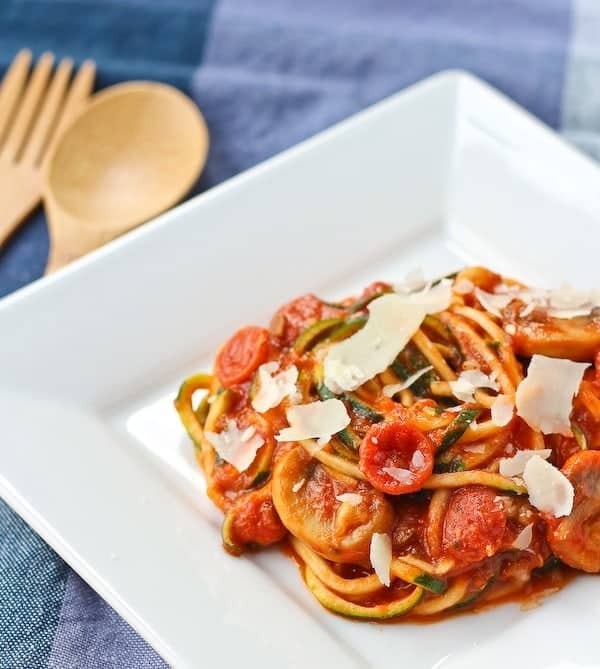 Only 5 ingredients and 15 minutes for this hearty and healthy gluten-free and vegan dinner. Score! 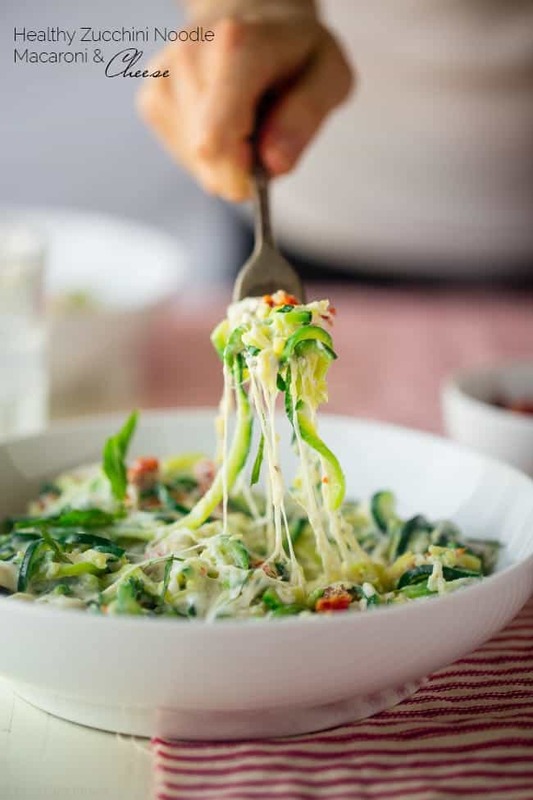 Pizza Zucchini Noodles are a pizza-themed meal you can feel great about eating! You’ll want to put this one into your weekly rotation.